The creators of the highly acclaimed platformer Leo's Fortune have released their latest endeavor on the Google Play Store. 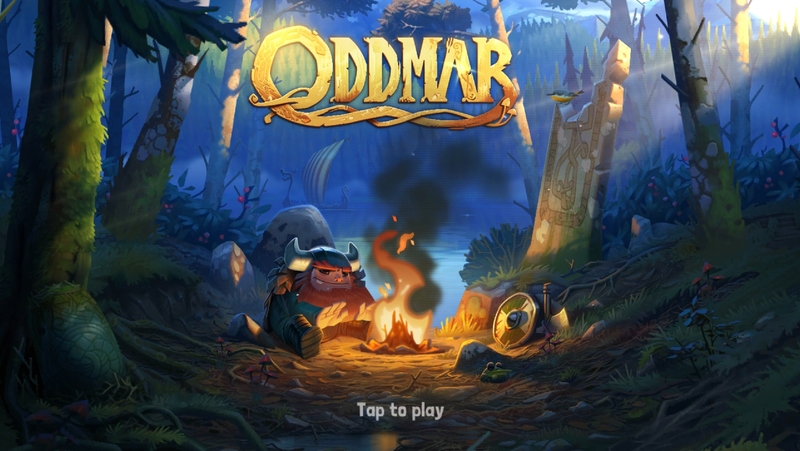 It's called Oddmar, and if you've heard of it before it's because it has been available on iOS for about nine months now. It was widely accepted as one of the best platformers released on iOS last year (to the point of winning an Apple Design Award), and now Android users finally have the opportunity to check it out. If you take a look at the teaser trailer linked above, you'll notice a bit of text at the end that mentions the beginning of the Android release is free. Unlike the upfront priced iOS listing, the Android version is free-to-try. The first chapter is available at no cost so we can each get a feel for how the game plays on our particular devices before spending any money. After the first chapter is completed, users will have the opportunity to pay $4.99 to unlock the rest of the game through an in-app purchase. If you've played the developer's previous game Leo's Fortune, then you should have a good feel for how the controls work in this release. 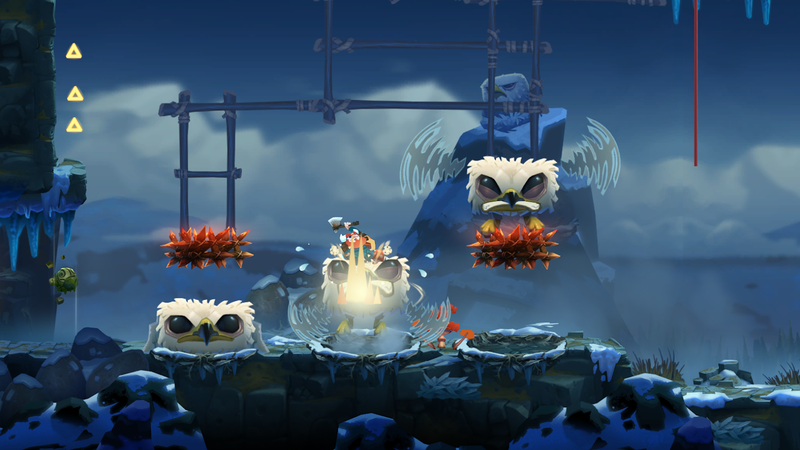 The left side of the screen is used to control your horizontal movement, and the right side of the screen is used for jumping. Amazingly these touchscreen controls work much better than they should, but sadly there is no support for physical controllers for those that prefer something more tactile. 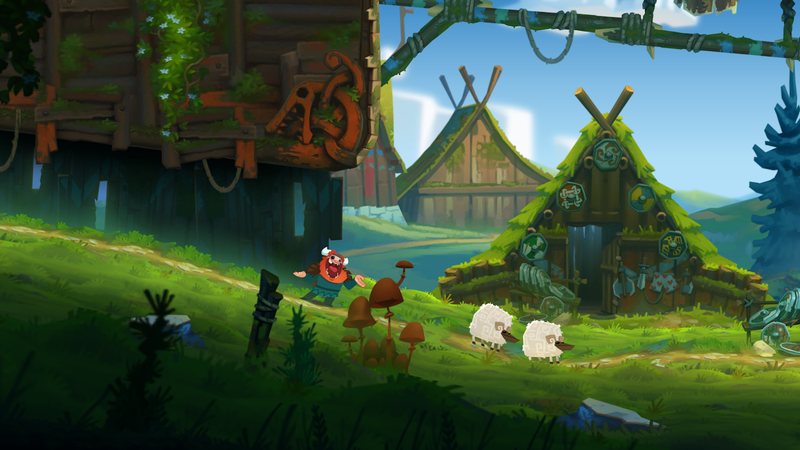 The gameplay revolves around controlling a Viking who's looking to redeem himself in the eyes of his clan so that he can earn his place in Valhalla. To do this, you'll have to traverse 24 draw-droppingly gorgeous levels while also solving a few physics-based puzzles and platforming challenges. Generally, the game can be beaten in about two and a half hours, which is kind of short for the price, though I'd say the high level of polish, quality touchscreen controls, and amusing story make up for the short length. If you're a platformer fanatic or are merely looking for a quality game with a fair pricing model, Odmar is hands-down one of the best options released this year. Its rave reviews on iOS are well deserved, and the move to Android has not lost anything in translation. Sure, the price and short length may be a bit of a turn off for some folks, but honestly, you're going to be hard-pressed to find anything with this level of polish on the platform. 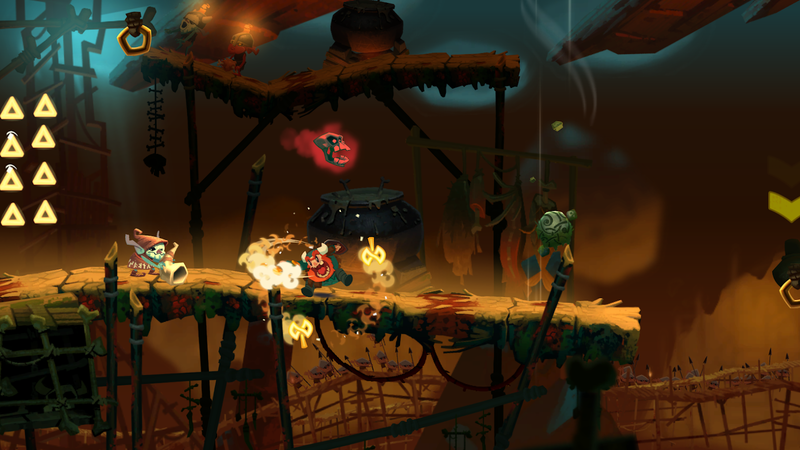 In my eyes, Oddmar is a must play in a sea of mediocrity and should not be missed.